We have solidified the photo dates and times. You will notice that individual photos start at least 30-45 minutes prior to game time so please be there early so that games aren’t delayed. With your registration, you will receive a free 72dpi digital copies of your individual and team photos. These will work perfectly for online galleries, facebook, instagram, etc., but are not ideal for large print. 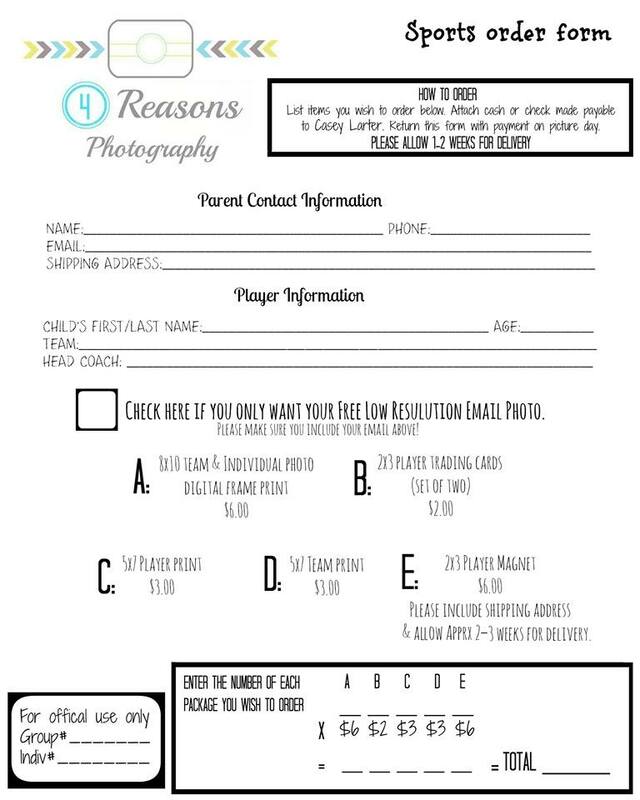 The photographer we are using offers very affordable printed copies in her order form. You can view the order form and packages here.